According to EUROSTAT data of 2010, Romania had the highest percentage of homeowners (97.5%) amongst EU member states. In the same year, the country’s overcrowded housing rate was also the highest in the EU (54.9%, compared to 17.6% in EU27, with an even higher percentage within the population at risk of poverty, 65%). Further, Romania’s population confronted the highest level of severe housing deprivation in the EU: compared to the 5.7% average in the EU27, 26.9% of Romanian citizens were faced with this problem. Significantly lower than the national average, the housing stock under public tenure represents 1.3% of the total number of dwellings in Cluj, the second largest city of Romania, located in the northwestern part of the country. In 2014, according to municipal data, the public housing stock totaled 1554 units, of which 1368 were public and social housing units, 174 were units constructed under a governmental housing program dedicated to youth, and the remaining 12 units were emergency housing. Between 2007 and 2014, 50 units were built through the governmental housing program and 421 through the social housing program. During the same timeframe, 249 dwelling units were removed from the public stock through sale, whilst 797 were retroceded to claimants. During this period, the local administration failed to cover the public housing units removed from the stock (totaling 1046 units) by constructing new social housing. Additionally, the local administration is far from responding to the housing needs of lower income groups, those who did not benefit the privatisation of the early 1990s; or of those who could not rent on the market or acquire a house through a credit scheme, who live in conditions damaging their health and are the most vulnerable in the face of labor exploitation. According to the 2011 Census, there were 130375 dwellings in Cluj, of which 129837 were conventional housing, whilst the remaining 538 were unconventional – generally scrap shacks on the outskirts of the city. Were the figures to actually correspond to reality, the local administration could work up a program of social housing for the people living in these unconventional units and for the homeless, to provide both categories with basic conditions of adequate decent housing and living (running water, electricity, kitchen and toilets). Apart from the unconventional houses, even among the conventional ones there still are 1.4% without running water, 1% lacking electricity, and 2.4% without toilets inside the houses. Besides institutional racism and economic factors, housing policies partially explain why 41.34% of ethnic Roma from the city live in marginalised urban areas. The above data reflect the consequences of housing policies in post-socialist Romania. The latter were instrumental in the regime change processes, including the shaping of current neo-liberalisation, involving complex and intersected transformations of the state, society, and the market: the formation of capitalism. These housing policies promoted homeownership as tenure model, a tendency strongly linked to general public concern around the right to private property at the expense of concern given to the social rights to affordable and adequate housing for all (the latter considered part of the “egalitarian,” wholly denigrated communist past). Part of this tendency, both the privatisation of the formerly state and state enterprise housing stock and the restitution to private owners of buildings nationalised by the socialist state reflected a post-socialist justice-making agenda that was highly focused on privatisation. Parallel with the legislative acts from above, and despite the minimal, but existing regulations regarding responsibilities in the domain of housing, the state drastically limited its role in allocating public budget for the construction of social or “emergency” homes. This “option” is part of its general withdrawal from the responsibility of welfare provisions to categories of citizens most harshly affected by the great economic transformations of the country. It is only the Law for Preventing and Combating Social Marginalization (Law 116/2002) that stipulates financial support, through the County Councils, for the construction or the acquisition of homes by youth under the age of 35 years, who cannot afford to buy market property. On the other hand, the Housing Act (Law 114/1996), establishes social housing as a form of housing administered by local councils that must be provided to the most vulnerable income categories. The Public Administration Act (Law 215/2001) delegates to local councils and municipalities the administration and allocation of the existing social housing. Moreover, local governments are also responsible for the construction of new homes if there is a need for such public stock. However, given austerity measures and the new public management ideology and practice, there is little incentive for local administration to invest in social housing and support the most disadvantaged because it contradicts their imaginary of desired urban development (which includes ideas about who should own or belong to the city). Minimized in its social accountability in the housing sector, too, the state is actively supporting private investors and developers. Viewed at the level of the city of Cluj, the trends of privatization coupled with the decentralisation of responsibility regarding decisions over the public stock also resulted in the introduction of selection criteria for social housing which eased the distribution burden from the shoulders of local administration. In the past ten years, the Cluj Council played juggled with “permanent income” as an eligibility criterium in the process of social housing allocation. Local Council Decision no. 649/2005 establishes “proof of a permanent income for the past 12 months” as a basic criterium. Throughout the years, this criterium was subsequently withdrawn and reintroduced several times, but in 2008 the Council decided to set it as an eliminating criterium, while two years later the Council voted for the introduction of a set of “eligibility, selection and allocation criteria,” finally stating that applicants who fail to prove a stable income are ineligible. This exclusionary approach was cemented through successive Council Decisions (no. 363/2012, no. 150/2013, and no. 434/2015. The exclusion of people without income earned on the formal labor market (or with income only from the so-called minimum income scheme even if this requires hard labor in exchange), and the total disregard of housing deprivation and insecurity from the selection criteria supports a policy that, instead of counterbalancing the effects of class inequalities, contributes to their reproduction. The role played by the state in financing the private housing sector in Romania is illustrated by the programs of the National Housing Agency (Agentia Națională pentru Locuințe, ANL) established in 1998, and currently under the Ministry of Regional Development and Public Administration. The Agency was the first Romanian institution offering housing credit, thus promoting the formation and expansion of the country’s mortgage market. In the beginning, the Agency built new houses or refurbished older ones, consequently sold through a burgeoning mortgage system. In 2003, the Agency established public-private partnerships with several banks, and today its mortgage program is solely financed by banks. Since 2001, ANL also implemented a program for constructing houses dedicated to youth under the age of 35, distributed by local councils. Owners might first rent, and after one year, buy, these apartments, a procedure that further continues the privatisation of housing stock built from public money. Altogether, ANL has seemingly made a confusion between social housing dedicated to vulnerable groups, and homes affordable to those who able to benefit from bank credit, or generally better-off people. But this was actually a consciously followed politics. As practical consequences of the Housing Act, social housing programs have been given low priority, in contrast to the massive support for homeownership (even in the form of subsidising mortgages). Dedicated to middle class youth by the means briefly described above, as with the Romanian politics of housing as a whole, the ANL has promoted homeownership, while local authorities practiced a system of distributing the low number of social houses so that they did not necessarily serve the interests of marginalised categories. The housing market, especially since the bank credit system has flourished, has become a very profitable domain, not least for local and national political entrepreneurs who were not interested in regulating the housing domain to benefit disadvantaged categories. On the contrary, there has been more interest in deregulation and speculation, and enjoying the privileged positions from which they were informed about landed estates to be privatised and/or from which they could decide on developmental investments to increase the value of particular urban areas. Without specifying the tenure structure of the housing units, a publication of Cluj municipality, Cluj-Napoca Real Estate Brochure (Broșura imobiliară Cluj-Napoca) refers to the almost 42000 housing units built between 1977-1992 (from 70865 units in 1977 to 112813 in 1992). After 1992, the total housing stock increased by 2.8 million square meters by 2011, registering a 72% increase rate: from 115156 units in 2002 to 130375 in 2011). These figures reflect the intensity of (private) investment in housing, and are put into the report as a reason of local pride. However, the report fails to mention the 1.3% of the housing stock under public tenure; the significantly low usable surface per capita (under 20sqm (as compared to the EU average of 30sqm/capita); that the city scores highest in rankings of indebtedness; or that prices on the real estate market are significantly higher if compared to the buying power of local residents, even if those who own multiple property are more well off given the high rents generated through demand created by incoming students attracted to the university life in the city. Briefly put, the residential market, consistently backed by the state, became a territory for capital accumulation, while citizens, especially the excluded and the marginalised, were dispossessed of their rights to adequate and accessible housing. Moreover, in cases of forced eviction, these impoverished categories were dislocated from their homes without being provided with proper alternatives, while the buildings where these homes were, had been privatised or demolished and the lands on which they were located offered to “honourable” investors. Additionally, the dislocated people became homeless, or were relocated to improper city margins, thus undergoing an act of dispossession that increased the degree of their exclusion, all the while being blamed strongly for failing to integrate into the majority society. 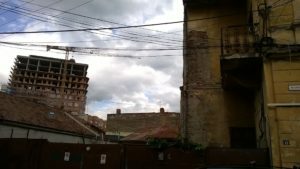 What we witnessed in Romania and Cluj in the last 25 years demonstrates once again that housing politics is a central component of capitalism and real estate businesses are privileged profit-making endeavours especially in the era of financialised capitalism. They are sustained among others by the massive privatisation of public housing stock and by other initiatives of the market-maker state (such as the ANL program, and the First House Program). One of the major problems of housing in Romania, the fact that public administration invests to little into the development of social housing stock, is linked after all to how the state supports the real estate and related banking sector as a driver of financial capitalism. On the other hand, it is connected to the denial of the impact of this policy on the increase of the level of poverty in Romania and of the polarization between those who have a satisfactory quality of life and between the precariatized working class deprived (among others) of the elementary conditions of adequate housing. Housing inequality and injustice is a class phenomenon. Housing is a key component of the social reproduction of labor. Housing conditions are part of the material circumstances that determine the opportunities of the individual, as well as his/her consciousness. The dominant ideology of capitalism based on the ideas of the primordiality of private property, meritocracy and competition, sustains the investment of capital into real estate business, to the transformation of home into a commodity, as well as to the formation of a false consciousness according to which those who do not have resources to rent or buy a home in the private housing market do not belong to “our” city. On the other hand, this dominant ideology justifies inequalities among the classes who own profitable real estate properties, between the middle class and working class people who invest a major part of their income and bank loans into acquiring and maintaining their home, and the precariatized working class pushed into extreme (housing) poverty that endangers not only their human dignity, but also their physical existence. Considering Cluj, current estimates denote that the development perspective of the “competitive city” (competitiveness defined through cheap labor force attracting foreign investment) will also imply real estate developments. In this context, neither local administration, nor the private enterprises, will be interested to subsidise housing that covers the need of people instead of increasing profits of developers. This also explains why the local government is not interested either in legalising informal settlements or prohibiting forced evictions or improving the housing conditions of the poor: insecure and inadequate housing can always easily become a target in the process of land grabbing. Thus, it is highly probable that the local political elite would rather dodge social housing as housing meant to bolster the labor force of socially marginalised categories with the lowest income or those relying on social benefits, lest those who work in the informal economy and contribute invisibly to the wealth and wellbeing of many in the city. There is little support or concern from civil society groups and the local political elite for initiatives seeking to gain momentum for the development of a city for people not for profit, bringing up a model of development involving the extension of the public housing stock. Local non-governmental organisations seem to be overwhelmed with gaining the European Capital of Culture title for Cluj-Napoca. Even though this competition acknowledges some of the city’s social problems (for example the segregated area of the landfill area called Pata Rât), it does so by culturalising them, sublimating the process of finding solutions to actions carried out under the banner of cultural refashioning through a wider civic participation. Meanwhile, even if currently implemented projects aim at improving the situation of the disadvantaged (including their housing conditions), they focus on increasing the employability of these people, through offering different skill training programmes, as a precondition to supplying them with better and more secure housing conditions. Otherwise, for those who “cannot be integrated” into the city, the solution provided through these projects is relocation to the metropolitan area, meaning the neighbouring villages of the city. Importantly, such projects also contribute to the trend of settling public-private partnership as a means to tackle housing for the disadvantaged, thus reinforcing and legitimising the lack of political responsibility and accountability of the local administration to citizens in terms of providing adequate and secure housing. http://epp.eurostat.ec.europa.eu/portal/page/portal/income_social_inclusion_living_conditions/data/database (last update 18.10.2013; accessed 19.10.2013). More on this in Enikő Vincze: Socio-Spatial Marginality of Roma as Form of Intersectional Injustice. In Studia UBB Sociologia. 2013. 58(2): 217-243 (accessible here http://www.studia.ubbcluj.ro/download/pdf/816.pdf – alongside with other articles resulted from the research Spatialization and racialization of social exclusion. The social and cultural formation of “Gypsy ghettos” in Romania in a European context, conducted with the support of the grant CNCS – UEFISCDI, PN-II-ID-PCE-2011-3-0354 (www.sparex-ro.eu). Based on Governmental Decree no. 61/1990 and Law 112/1995, according to which sitting tenants of state and state enterprise housing could purchase those units, around 2.2 million formerly public rental dwellings were privatised, which represents around 27% of the total housing stock. See Sasha Tsenkova, 2009 – Housing Policy Reforms in Post-Socialist Europe. Lost in Transition, Physica Verlag, Heidelberg; and József Hegedüs, Martin Lux and Nóra Teller (eds. ), 2013 – Social Housing in Transition Countries, New York, London: Routledge. However, there are isolated initiatives that aim to grow into a larger movement, such as the campaign for social housing run by Foundation Desire, “Căși sociale acum!” (http://www.desire-ro.eu/?page_id=2219), connected by its activists to the Common Front for Housing Rights (Frontul Comun pentru Dreptul la Locuire) from Bucharest, and to the local movement against ghettoisation and evictions run in Cluj-Napoca since 2010. 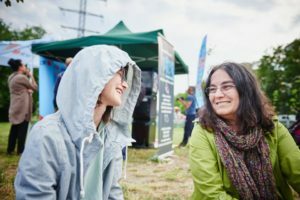 Enikő Vincze and Simona Ciotlăuș (Cluj, Romania), with academic backgrounds in sociology and social anthropology, are convinced that knowledge production might and should serve the dispossessed categories, thus enabling it to play a role in social change towards equality. In the past seven years, the authors initiated and participated in several activist and civic actions for social and housing rights as well as justice. Among her latest pieces, Enikő published the article ‘Precarization of working class Roma through spatial deprivation, labor destitution and racialization’ in Review of Sociology, Volume 25 (4), 2015.